Today, November 1st, Apple opened their stores around the world to fans queuing up for the latest and greatest in their tablet line: the iPad Air. Announced in late October, the iPad Air didn’t exactly come as much of a surprise to anyone who isn’t living under a rock. Leaks of it’s existence were occurring left, right and center until almost the only piece of the puzzle we were missing was it’s official announcement from Apple. 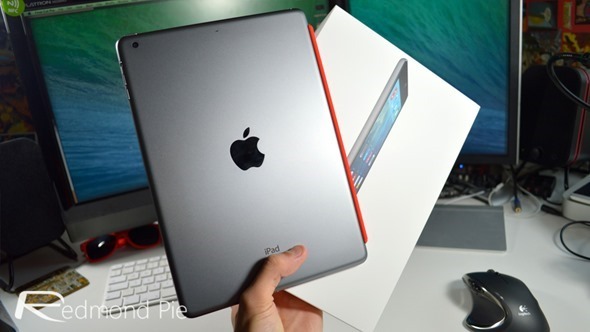 Taking design queues from the iPad mini (which has also seen a refresh to be released in November), the iPad Air weighs just 469g and has a depth of just 7.5mm. It sounds like a lot of numbers, but those numbers translate into one compact package for a tablet with such good screen real-estate. After waking up at 5am this morning, I joined the queue for Apple’s new tablet bright and early, and now have one in my possession. It only makes sense to bring you a full unboxing video as well as a first boot demo of the new iPad Air, so that you can get a feel for how the device looks, and just how thin it actually is. You’ll find a few shots in the video which outline this particular attribute that the new iPad Air touts, comparing the iPad flat on a surface to the iPhone 5 and a pen. Since Apple compared the depth of an iPad Air to a pencil, it seemed only right to replicate it. With the amount of leaks that were circulating about the iPad Air before it’s release, it wouldn’t have been a surprise if Apple announced their newest slate to come in a ‘Gold’ color. Also absent on the spec sheet was the addition of Touch ID, a feature which many were convinced would find it’s way onto iPads everywhere. Whilst I’m not exactly ecstatic that these features were, let’s call it, ‘strategically excluded’, it makes total sense that they’ve done it. These two new features would have been nice for consumers to have on the just released iPad versions, but not many people will refuse to upgrade to the new tablets on account of no Touch ID. It simply paves the way for the next generation of iPad’s features, and allows Apple to charge more again for the next refresh. 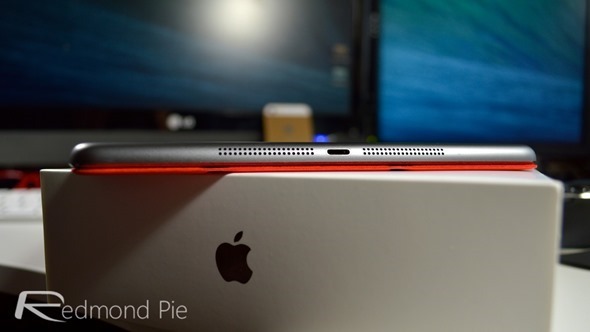 Please stay tuned for more iPad Air coverage throughout the day.